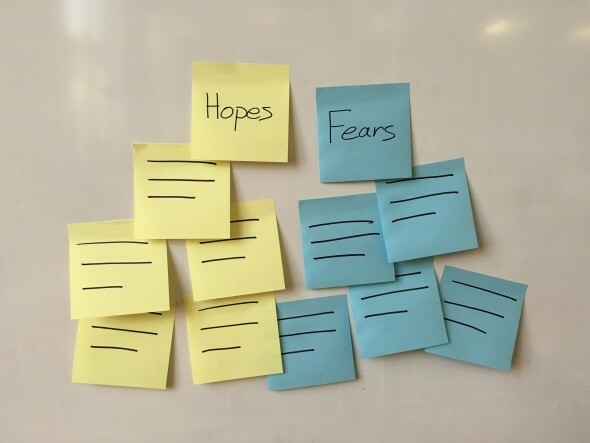 Design Thinking Toolkit - Unite your Team with "Hopes & Fears"
If you’re new to the Design Thinking Toolkit, check out the introductory post to learn more about design thinking. For those who have been along for the entire ride thus far… gold stars for you! Our next lesson explores an exercise called Hopes & Fears. Supplies You can perform this exercise verbally or with a large whiteboard, Post-it Tabletop Pad, Post-it notes, Sharpies, and/or whiteboard markers. During the Research, Design, and Planning (RDP) phase of our projects, one of our goals is to understand the project’s stakeholders. We want to learn things such as what went wrong with their last software vendor, or what led them to a successful product launch in the past. Gathering this type of information helps our teams set expectations and understand what needs to be built and why. Hopes and Fears is one of the tools we leverage to accomplish these learnings. Just as the name says, it gives team members and stakeholders a chance to identify and discuss their hopes and fears for the project. Though it may feel a bit cheesy at first, this exercise has proven itself as a way to level expectations, surface motivations and hidden emotions, and identify preconceived notions. It helps the group develop a common understanding of challenges and opportunities and offers a quick, easy, and relatively non-threatening way to start collaborating and communicating. We’ve found that it can also be helpful to tease out any unrealistic expectations of the team or project outcomes as early as possible. Before we officially begin breaking down the exercise, it’s important to note that it can be performed at the beginning or end of a meeting, or at both times. You might use it to kick things off if you want to set the tone for the day, get some nerves or anxious team jitters out, obtain a common understanding of what participants hope to accomplish, and, early-on, understand what they fear could go wrong. Starting with this activity can help you reassure people that their fears won’t become a reality or that you will work together toward an action plan to overcome those fears. It can also provide insights into what participants are truly hoping to get from the meeting. This exercise can also come in handy at the end of the meeting or after a long day of collaborative work. If you do this, you may want to allow time afterwards to privately synthesize the feedback you receive. For especially long meetings, it’s helpful to perform the exercise twice, at the beginning and end. Take note of any changes in hopes and fears between the two activities. Were hopes fulfilled or dashed? Were fears assuaged or intensified? Did new hopes and fears emerge? These are all questions that you can answer when the exercise has been performed twice or on a recurring basis. 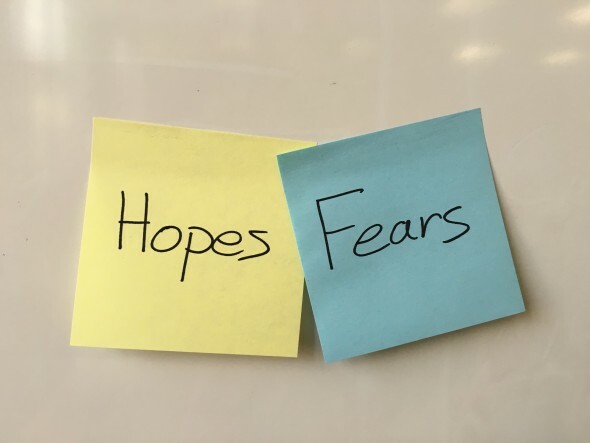 To begin, each participant should have sticky notes in two colors: one for hopes and one for fears. Participants are given five minutes to write down their hopes, and another five to document their fears. One at a time, participants are asked to post their hopes on the wall and describe them to the group. The same process is repeated for the fears. After everyone has discussed their hopes and fears and any group discussions have dissipated (which takes roughly 30-45 minutes), the team documents the results for later review. Take note of the team’s reactions to each member’s hopes and fears. Are they nodding in agreement, frowning in disagreement, or not reacting at all? You may find that this activity stirs up other hopes and fears amongst the group. And that’s a good thing. It will give a chance for quiet participants who may have been nervous to express an opinion to feel heard or to learn that someone else feels the same as they do. If you are crunched for time, you can perform this exercise verbally. Participants write hopes and fears in their notepads and share them one-by-one around the table. 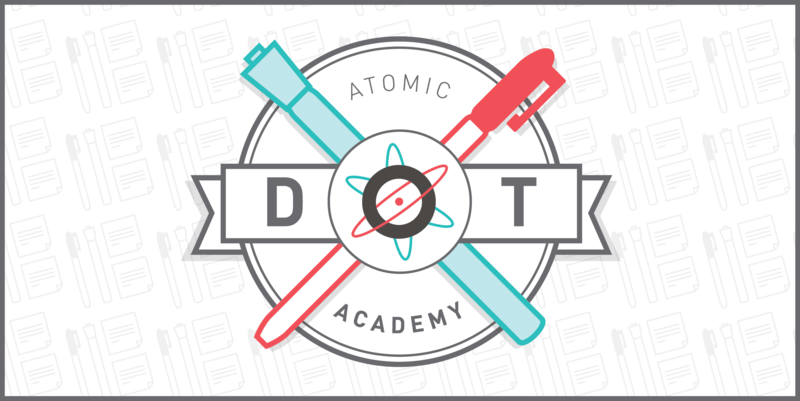 If you choose this route, assign someone to transcribe notes of each person’s response. If you are facilitating this activity, it’s important to create an emotionally safe environment for everyone so that they may participate in their own way, while working to level expectations and complete the activity. When reviewing, make sure that everyone has enough time to speak (while also keeping a mindful eye on the clock). As mentioned above, watch for teammate reactions. You may find it helpful for the project manager and the team to review the results of this exercise sporadically throughout the project’s duration. In the past, we have scheduled reoccurring calendar reminders for these reviews. And that wraps this quick and effective activity. Drop us a comment if you’ve found this activity helpful for your team, or let us know about helpful tools or exercises you use to learn about your stakeholder’s motivations and goals.